He was rich, handsome and famous, she was considered a great beauty and their wedding was front page news around the nation. 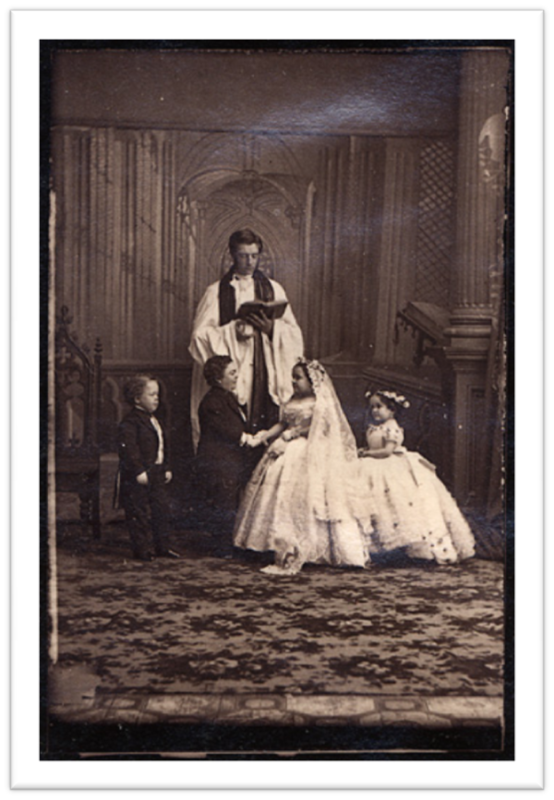 On February 10, 1863, at Grace Episcopal Church in New York City, Charles Stratton of Bridgeport married Lavinia Warren of Middleboro, Massachusetts. After the wedding benediction was pronounced, the 2,000 guests departed to the reception at the Metropolitan Hotel; entrance to the reception required a $75 ticket. Wedding gifts including furs, silver plate, and jewelry were displayed at the reception. To greet their guests, the bride and bridegroom stood on top of a grand piano. 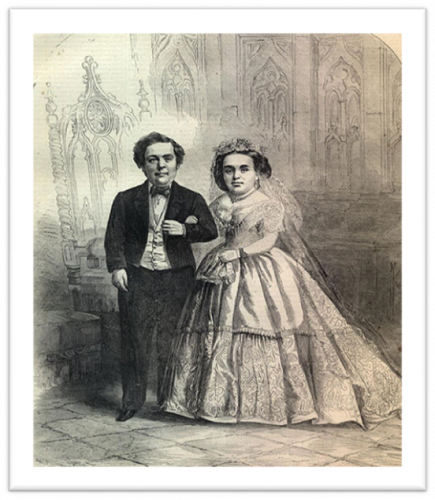 The bridegroom, better known as General Tom Thumb, was just under 36 inches tall, and his bride was about 30 inches tall. Their wedding was billed as “a fairy wedding,” perhaps because there was something magical, to the public, about these child-sized adults having an all-out celebrity wedding. In an era when physical oddities and disabilities were considered “curiosities,” entrepreneur Phineas T. Barnum, America’s greatest showman, met Charles Stratton when the boy was five years old and two feet tall. He knew the kid was made for the sideshow. With the permission of Stratton’s parents, who traveled with their son, Barnum made Stratton a sensation in Europe and the United States. Barnum billed Tom Thumb as “the smallest man alive,” and his performances singing, dancing, and impersonating famous people made him and Barnum rich. He lived in a mansion in Bridgeport that was designed for him and his parents–who were people of normal height–and met the crowned heads of Europe.